Cream Lace Blouse, Velvet Skirt: Thrifted. Brrr! Finally got a chance to break out my new winter coat I bought in Italy at Zara. I bought it the last week I was there and wore it a few times because I thought it was "cold." LOL. I forgot how cold it actually gets in Ohio! 50 degrees was not cold. One of the buttons had popped off and the rest were loose, so I had to get that fixed before I could wear it back here in the States. Finally got it done the other day and it feels so nice to wear a new coat out & about that I love. 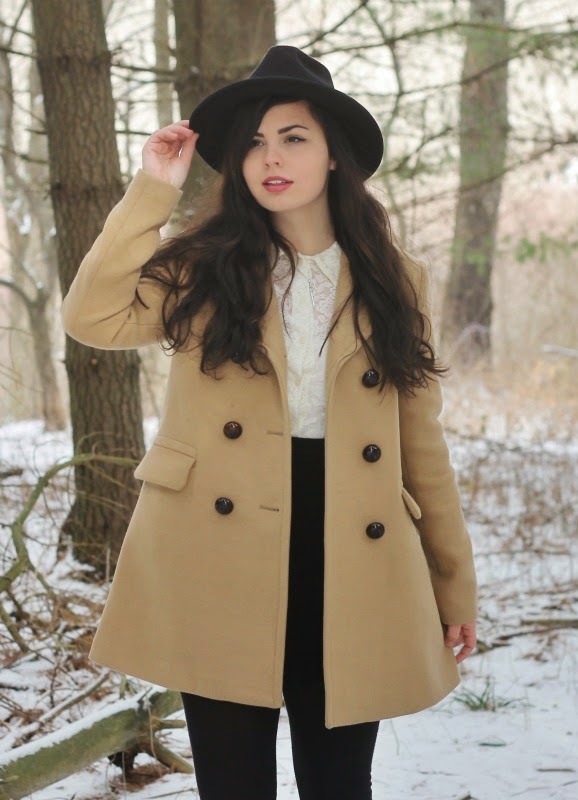 I just adore camel colored coats and have wanted one this style for years. Very mod, 1960's, classic. The big tortoise shell buttons and visible pockets won me over completely. That coat is gorgeous, Lauren! Camel looks so good on you, your skin tone is perfection for it. I work at Starbucks! We're launching the Flat White soon. Try it out! It's an Australian drink made with ristretto shots and whole milk, and it's actually my new favorite thing there. -Elle, a long time lurker and fellow coffee addict. Stunning as always Lauren, and I absolutely love your coat - hopefully I can find a similar one once winter rolls around here! Yesterday it was 42degrees celsius though (I think that's around 108 Fahrenheit) so I don't think I'll be needing a coat anytime soon! 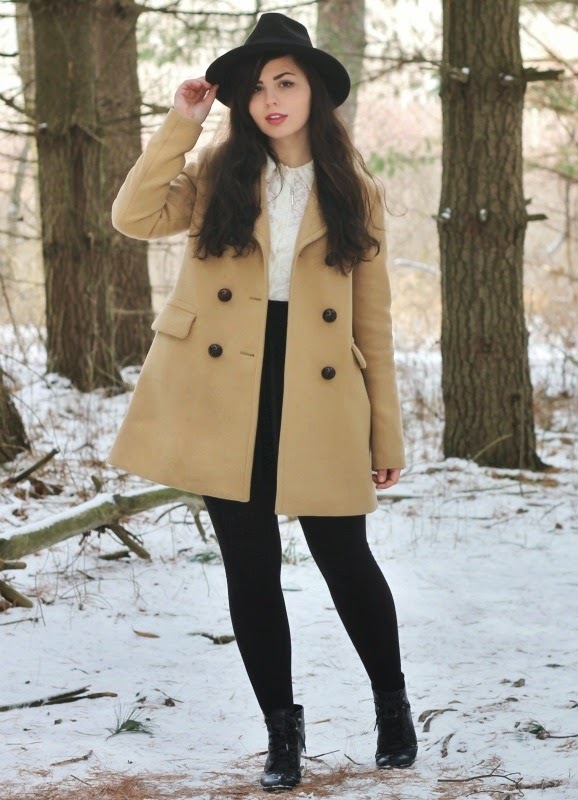 Gorgeous winter outfit! And Keurigs are amazing! I got one from my mom when she moved out of the state and it has saved my life on the morning I'm running late to class! Much faster than waiting in a Starbucks line! I love the chai latte pods you can buy for them, so good! 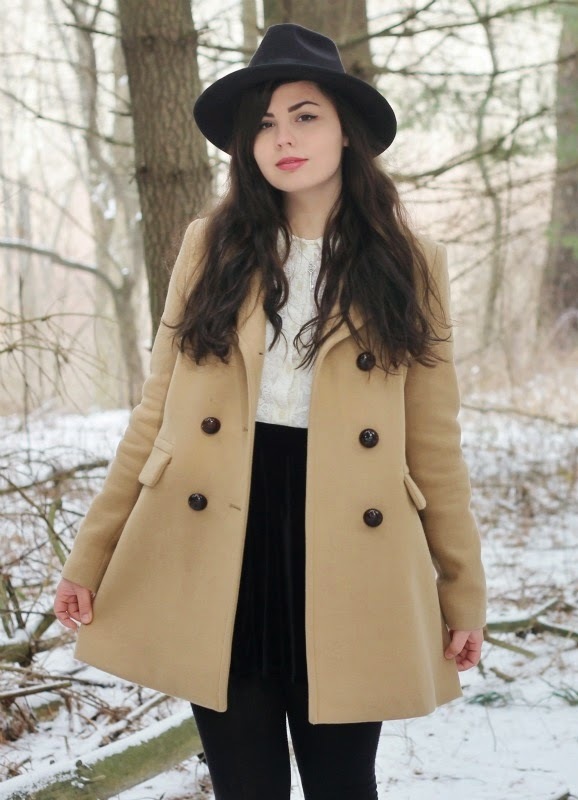 This coat is perfect and so classic. I love how it looks with your cute little velvet skirt! Such a great look! Beautiful post... I have really been enjoying following your blog! Beautiful coat! My boyfriend looooves coffee but not the sugary American kind, so if you're really missing Italian coffee, I recommend you get a French press! It's a bit more effort than, say, a Keurig (you either have to buy grounds or grind your own beans, and also boil water for it--electric kettles are amazing!) but it makes for rich, incredibly delicious coffee. I think I absolutely love this outfit! The zara coat looks AMAZING on you!